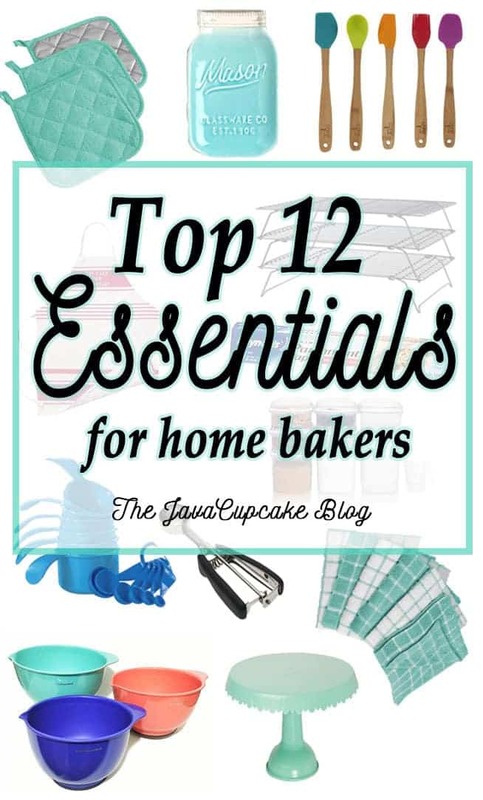 Some of my favorite things in the kitchen are tools that make baking simple and easy! 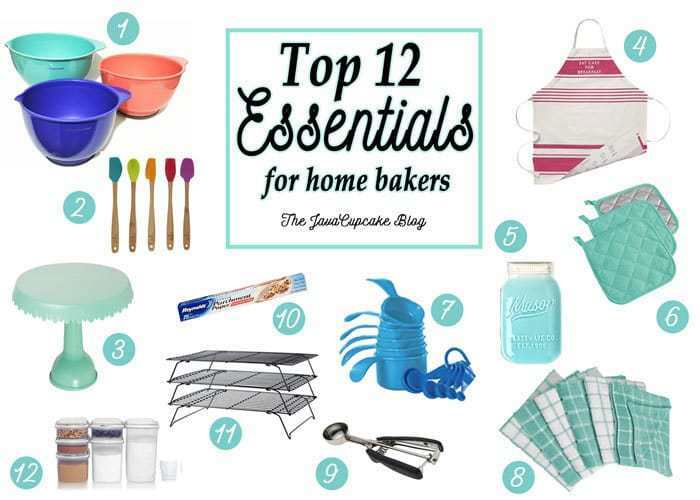 These are my Top 12 Essentials for Home Bakers! I have 7 mixing bowls in various sizes that I use every time I bake. Whether it’s to mix the wet and dry ingredients in before adding to the mixer or to make the batter in… I must have a set of mixing bowls. My favorites are these KitchenAid Mixing Bowls Set of 3, Assorted Colors . Cute colors and the perfect sizes. I never knew I needed these mini spatulas until I had them… and now I use them ALL. THE. TIME! They’re perfect for getting in the bottom of the peanut butter or jam jar or mixing food coloring into a bowl of buttercream. The possibilities are endless. My favorite is this Core Kitchen 5 Piece Crete Mini Utensil Set . Obsessed may be an understatement for me. I love cake stands. In fact, I don’t hide them away in a closet, yet they are prominently displayed on my sideboard in my living room. Not only do I use them to display cakes, cupcakes, and desserts… but they are also home decor! I am especially in love with cake stands like this one… Now Designs Tin Cake Stand, Aqua . Not only should you wear an apron to keep your clothes free of sugar and flour when you bake, but you should wean an apron because it makes you feel good! I own about a dozen aprons and this one from Kate Spade is my absolute favorite! Kate Spade Diner Stripe Apron, 33 x 33″, Vivid Snap Dragon . My favorite pot holders are these small square washable holders. I like them because they fit in my small kitchen drawers easily and don’t take up a lot of room. These DII 100% Cotton, Machine Washable, Everyday Kitchen Basic Terry Potholder Set of 3, Aqua are especially cute! Making cookies an even, uniform size can only be done with a cookie dough scoop. It’s been a game changer for me when making cookies. My favorite is the OXO Good Grips Medium Cooke Scoop . Everything you bake must be cooled. In my kitchen, counter space is limited so my favorite cooling racks are the ones that are stackable. I don’t lose space and I can still use have access to the counter space under the rack! I am currently using Baker’s Secret 3 Tier Cooling Rack . I love this blog post! Keep them coming! yay! I have pretty much all of these-looove that pretty cake stand though!